First, you say lines AD, BE, and CF are collinear; that should be concurrent I think. Then you say that this can be proved by Brianchon on DDEEFF, but DDEEFF does not circumscribe the ellipse. Either I am very confused or you meant to say hexagon AFBDCE. You’re right on both accounts — thanks for pointing that out! :) I’ve edited the post. An interesting lemma that was communicated to me by the user utkarshgupta on Aops. 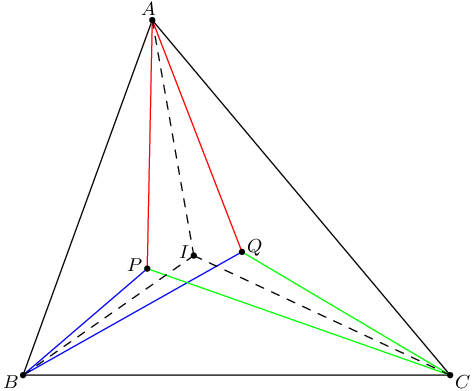 In triangle ABC let the rays AP and AQ(both inside angle A) be isogonal with P and Q being any points on the rays. 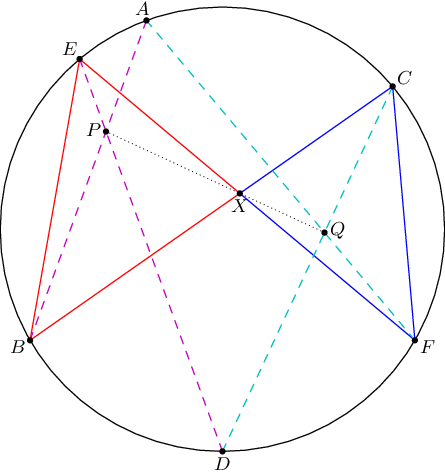 then if X is the intersection point of BQ and CP and Y the intersection point of BP and CQ then rays AX and AY are isogonal. Proof is simple by harmonic division. 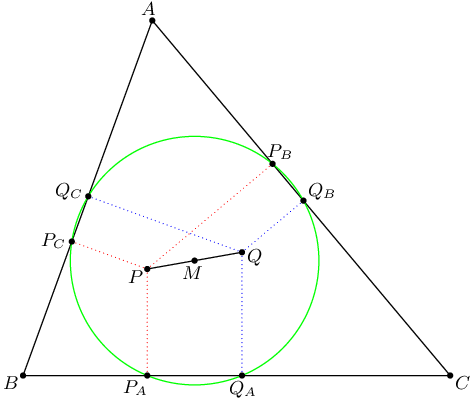 Moreover, Let Z and W be the second intersection of the circumcircles of Triangle BAQ and CAP and of BAP and CAQ then the points Z and W are isogonal conjugates.Proof follows by angle chasing and sqrt bc inversion. Great notes. In the proof for Theorem 2, the sine functions should rather be cosines. Can you confirm please? What if D is replaced by some other point on BC? Then AFBDCE also satisfies the same interpretation of Brianchon, but the corollary is false. I think I’ve read something about a similar issue somewhere, but I don’t remember where. Had to do something with the derivation of Brianchon from Pascal. I think you are correct about that. 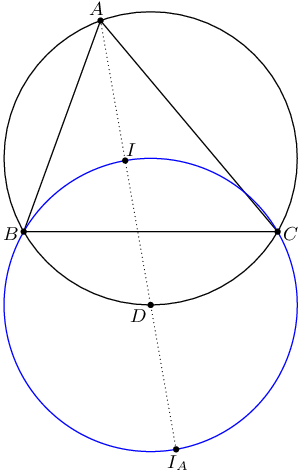 I’ll replace the application of Brianchon with simply taking a projective transformation which sends the ellipse to a circle; that ought to do the trick. So, this is pretty old, but this Brianchon is actually correct. 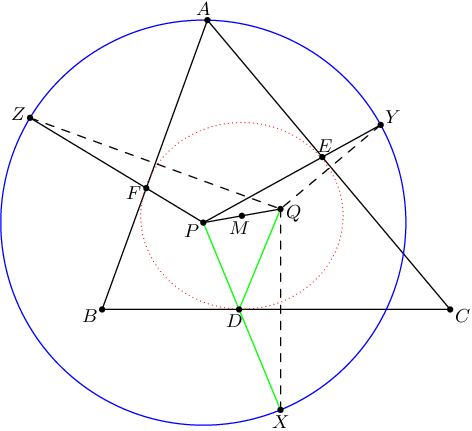 One can derive this by taking the dual of Pascal’s theorem with regard to hexagon DDEEFF, and note that you actually get the Brianchon statement with respect to hexagon AFBDCE. 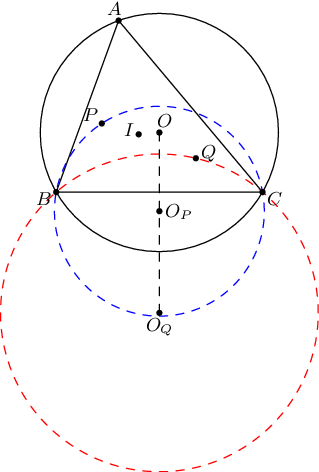 In general, it’s ok to use Brianchon with three collinear points as long as the “middle” (second) one is the tangency point with the conic.